To The A-Hole Who Stole This Elderly Man's Beloved Jeep: Seriously? 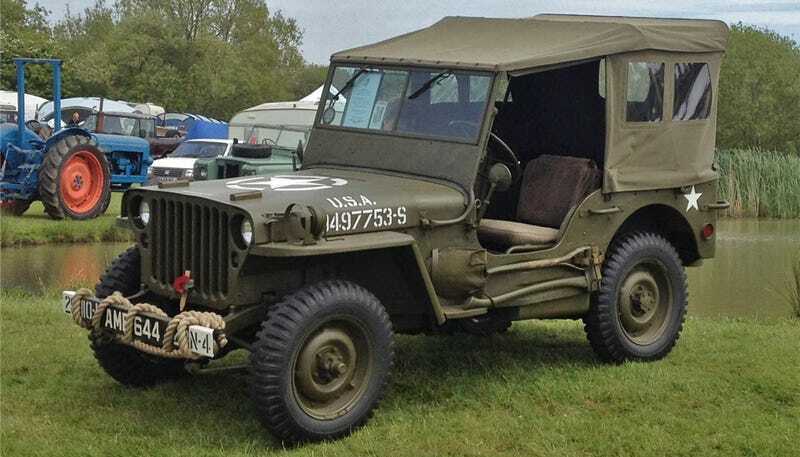 This 1944 Willys Jeep in classic US military livery was stolen from the Imperial War Museum in Duxford, England where it was parked out front for a show. It belonged to a 73-year-old man who got his hands on it and restored after his father had actually driven it in World War II. Detective Sergeant Andy Denzey of the Cambridgeshire police says, “The victim is extremely upset because he has lost something that held fond memories of his brave father. A part of his life has been ripped away from him.” The vehicle disappeared on July 12, 2015. The owner’s dad was an American Marine stationed at Pearl Harbor, and the Jeep must have been bought in some kind of surplus sale after the war. Apparently the then-owner’s wife bought it for £25 and helped get it shipped to England where the family relocated to. How cool is it to have a car with significance to history and your own family? If you took this Jeep from its rightful owner, you are the worst. There’s no way you could know that and still steal this thing. But now that you do, if you’re reading this, come on. These Jeeps aren’t even worth all that much money, just give it back already and get the tiniest scrap of moral redemption. Jerk. I know most of our readers are in the US and not England, but if anyone local to Duxford has any idea where this old army Jeep with the license plate AMB644 and “20497753-S” written on the hood, you can contact the relevant authorities right here or call their local tip line at 0800 555111. Or, I guess, if you see it pop up on eBay do the same. Condolences to the gentleman and his wife for their vehicular loss. And the dog. Hopefully the local police will come across it before it gets shipped off to some evil thief’s private museum. Hat tip to Jerome for bringing this to our attention.